Contact Hialeah Car Accident Lawyers Gerson & Schwartz, P.A. If you have been injured in a pedestrian accident in Hialeah and you have taken care of the most urgent injuries, the best Hialeah accident lawyer is what you need next. If the accident you got injured at was caused by another person, that person may be liable to pay for the harms and losses you have suffered as a result. These Hialeah pedestrian accident injuries can range from innocuous bruises to broken bones, spine and neck injuries, head injuries with brain damages, scars, and in some cases even death. These injuries will make you spend a significant amount of time and money on visits to doctors, medications, and maybe medical devices. Maybe you won't be able to go to work for some time, and you'll lose wages and the possibility to get promoted and earn money in the future. In case of death of a loved one, you can incur funeral costs. All these harms and losses may be compensated by the at-fault person or company. They may be legally responsible to pay you for the pain and suffering you've been through because of your injuries in a Hialeah pedestrian accident. However, defendant drivers don't want to pay for that. They usually try to avoid responsibility. That's why you need an experienced and aggressive Hialeah pedestrian accident lawyer on your side. The process can be difficult and complex, so you will need a professional who has the necessary experience in Hialeah pedestrian accident cases. 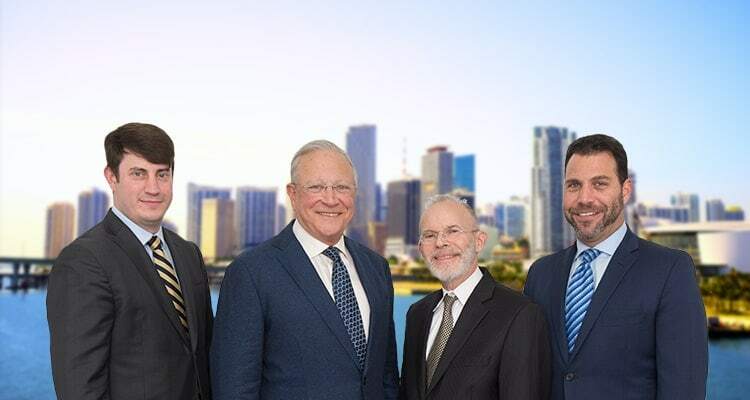 Here at Gerson & Schwartz, our Hialeah personal injury lawyers have assisted people from Hialeah recover damages for personal injuries for the last 40 plus years. We have had many pedestrian victims as clients. Call us at (305) 371-6000 and let us help you as well. We will start by free consultations. We never ask for fees before recovering damages. Hialeah has grown at a rate faster than any other South Florida city since the 60's. With 240,000 residents, it is the sixth-largest city in Florida. It is known as a city with the highest percentage of Cuban-American inhabitants. 73% of those 240,000 are of Cuban descent. Hialeah is part of the Miami metropolitan area. It is located west of Miami and borders with many unincorporated areas. The neighboring communities include Opa-Locka, Westview, Miami Springs, Hialeah Gardens, Medley, and Miami Lakes. On its southwest, just over the East Okeechobee Road, you can find the Miami International Airport. Pedestrians are the most vulnerable traffic victims; hence the injuries they usually suffer are very grave. In many occasions, pedestrian injury victims suffer a fatal injury. If you or a loved one happens to be injured in any type of pedestrian accident in Hialeah, don't hesitate to call our Hialeah pedestrian accident lawyers for help. Here at Gerson & Schwartz, we have provided legal representation for Hialeah pedestrian accident victims for more than 40 years. Call us for free consultations at (305) 371-6000 and ask anything that you want to know about your case. We will inform you about your legal rights and options. If you have a viable case, we can present you with a plan of action for you to get the compensation that you and your family deserve. We don't ask for fees until we recover damages for our clients.